Looking for a product review on Muttstard and Petchup for Dogs and Meowstard and Catchup for Cats Meet Scribbles the Yorkie and Joy the kitten! The three of us were more than happy to share our thoughts about the kibble condiments that were graciously donated by the good people at Petchup. What is Muttstard and Petchup for Dogs and Meowstard and Catchup for Cat? Muttstard and Petchup for Dogs and Meowstard and Catchup for Cats are nutritional supplements for your pets to add to dry pet foods to make them tastier and more nutritious. In addition to having cute clever names and packaging that looks like human mustard and ketchup, these bottled "condiments" are an easy and convenient way to boost the enjoyment and nutritional benefits of your dog's or cat's food. These cat and dog food condiments are made with high quality human grade ingredients, with no grains or glutens and no GMOs and no preservatives. They are also low in calories and sugars. What they do have are helpful variety of vitamins and minerals, glucosamine, omegas and prebiotics in each of the various condiments. So if you are looking for ways to make your cat or dog enjoy their food more by adding some zing to their dry foods, these products may work well for your pets esepcially if they are finicky eaters. Meowstard has a similar list of ingredients with 9 vitamins and minerals, L-taurine, omega 3 and a prebiotic. Petchup is also packed with nutrition boosters including 22 vitamins and minerals, glucosamine, omega 3-6-9 and a prebiotic while Catchup has 10 vitamins and minerals, Omega 3, L-Taurine and a prebiotic. So Do Cats Like Meowstard and Catchup and Dogs Like Muttstard and Petchup? 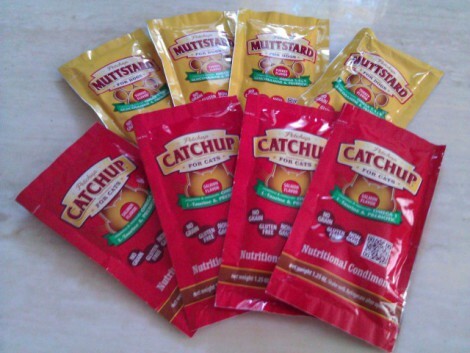 While Meowstard and Catchup and Muttstard and Petchup are all sold in squeeze bottles, like traditional human condiments, we received plenty of sample packets to test out. After tearing a Muttstard and Meowstard packets open, I was pleasantly surprised to see that it looked just like real mustard. But after a curious sniff, the smell of the yellow condiment was quick to remind me that the turkey-flavored treat was pet food and not human food. 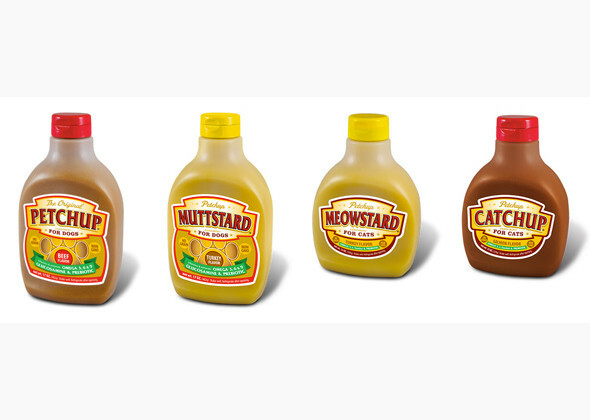 Muttstard and Meowstard smells nothing like human mustard and is more comparable to other wet pet foods with a slight vitamin-y smell to them. Since I only give Scribbles and Joy dry kibble, they were extremely interested in their neon yellow snack. Scribbles is a grazer- It can’t be helped! I could tell that both Scribble and Joy enjoyed the scent, but it was Joy who really went to town on the Meowstard-covered food. 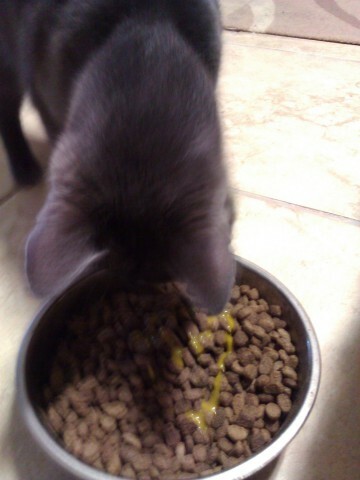 Scribble still ate her food at her own pace covered in Muttstard, but the golden goo really perked my cat’s attention. The crimson Catchup and Petchup variety had similar results, with Joy openly showing much more appreciation for the kitty condiment by eagerly chowing down than Scribbles ever did. I tested both condiments on my extended family of animals, and I found similar results: Cats Like Meowstard and Catchup more than Dogs liked Muttstard and Petchup. What is funny to note that in checking Amazon user reviews for the Muttstard and Petchup for Dogs and Meowstard and Catchup for Cats that other owners had completely opposite results with the dogs really liking their condiments and the cats less so. My verdict is that if you’ve got a finicky feline or canine, pick out the flavored condiment that would best suit your pet’s taste. Muttstard and Meowstard are both turkey flavored, while Catchup tastes like salmon and Petchup has a beefy flavor, so there is no shortage of kibble-enhancing condiments to try out! If you’ve got a dog with a wider palate, who isn’t afraid to try new things, go for it and try it. 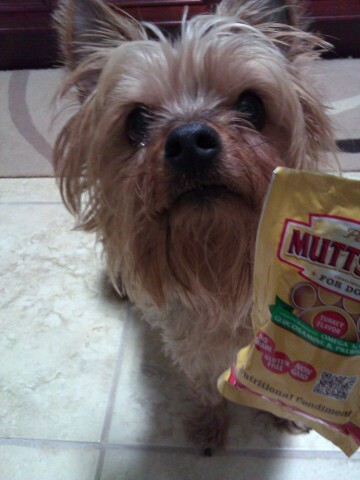 Your pet may find these flavor and nutrition enhancers a welcome boost to their daily diet. If you’d like to get your paws on any of the Petchup condiments, click here. Thanks again to the Petchup team for their contribution! Originally published April 2013 and updated last on June 2015. Bedazzled Bugs -- Beauty Or Bizarre?